Archaeological research excavations by students at Wanuskewin Heritage Park, near Saskatoon. Saskatchewan archaeology falls within the three broad philosophical assumptions central to North American anthropology: each human group has a distinctive culture; culture history has great explanatory power; and cultures cannot be ranked within a superior-inferior framework. Archaeology explains past human events via material culture remains related to environmental and cultural contexts. Within its broad definition, archaeology in Saskatchewan has seen a sequence of seven narrower, but not mutually exclusive, paradigms. Archaeology as material culture history. Local material culture histories are developed within geographically defined areas and provide explanations for culture changes over time and space. Cultures are defined on the basis of diagnostic materials that can be identified both spatially and temporally as unified in some way (e.g., projectile points, pottery). Saskatchewan’s contributions have been within the established North American prehistoric approximate time periods (listed in years ago or y.a.) of Early (12,000–8,000 y.a. ), Middle (8,000–2,200 y.a. ), and Late (2,200 y.a.-historic contact), based on projectile points, pottery, and other artifact types. Saskatchewan’s contributions have been especially strong for the Middle and Late periods, often exhibiting newly defined projectile point and pottery types. Contributions to historic archaeology also have been important, and include defining the distributions of Aboriginal groups in western Canada at the time of European contact, initiated by Henry Kelsey in 1690. Archaeological research excavations at the Gull Lake Bison Drive. Processual archaeology. The overriding goal is to discover and explain lifeways and culture process, thereby contributing to anthropology; the emphasis is on culture rather than on individual choice as a determinant of behaviour. The use of pottery in inferring lifeways and cultural process has contributed to an especially successful anthropological archaeology of the late Late period-historic boundary in the boreal forest, with explanations of sequential distributions related to movements of peoples. Archaeology as science. This approach provides explanations of observed phenomena by first seeking generalizations on the basis of observations (hypotheses), then testing the hypotheses for truth via verification across time and space, and finally contributing to a theory derived from verified hypotheses. Most of the archaeological theory development in Saskatchewan in the last three decades has been scientific. Culture history has figured in these endeavours more as background for temporal placement than as an explanatory frame of reference. Site and artifact distribution studies, especially of the Middle and Late Periods, have contributed to explaining cultural boundaries and subsistence strategies. Comparisons with ecological features have provided contributions to theories on preferred locations for prehistoric habitation, population movements, culture change over time and space, and population levels. Postprocessual archaeology. 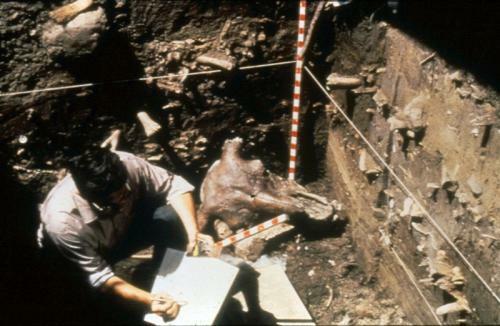 During the 1980s, dissatisfaction with cultural determinism as explaining all archaeological phenomena resulted in renewed emphasis on individual choice as a behavioural determinant, promoting a more pragmatic approach to archaeological explanation. Nonetheless, the explanation of cultural process did not disappear: it became more complex, involving ecological processes and choices made in relation to these. Recent works in Saskatchewan archaeology reflect this interpretive trend, but show that it is not independent from the other paradigms. These works include testing hypotheses on specific movements of human groups in relation to environmental features and ethnic boundaries. Postmodernist archaeology. Also in the early 1980s came a trend in the social sciences and humanities in North America called “postmodernism.” Postmodernism became linked to the postprocessual influence on archaeology. Postmodernism assumes that all knowledge is relative to the person who defines it, ascribing little determining power to culture. This contrasts with the older “modernism” which expresses the hubris-laden notion that one day, via science, we can know everything. The postmodernist assumption leads to the rather startling conclusion that there is no objective reality. Alternatively, it has stimulated an awareness of political implications of archaeological investigations, resulting in increased input from the descendants of people who are being studied, and in recognition of means other than science for obtaining knowledge, including traditional knowledge. At its extreme, this trend promotes the idea that only those individuals whose ancestors have practiced a culture have the right to talk about it. Beginning in the mid-1990s, postmodernism has been rejected by leading physical scientists, and this trend is now spreading into the social sciences and humanities as well, with obvious implications for archaeology. North American, including Saskatchewan, archaeology has seen only a limited postmodernist influence in its explanatory approaches owing to strong retention of the culture concept. As in other Canadian jurisdictions, Saskatchewan archaeologists now seek Aboriginal input into artifact and site use and protection. Archaeology as a part of resource and environmental management. 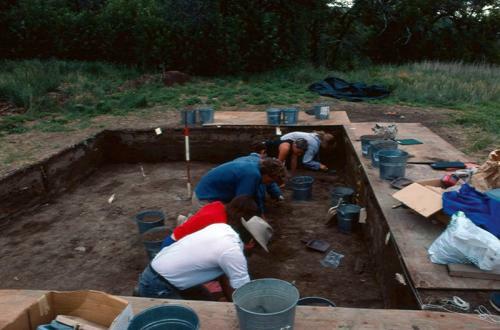 Coming from a completely different perspective than the academic paradigms, Archaeological Resource Management (ARM) began rather suddenly in the early 1970s as a part of environmental impact assessment. The main purpose of ARM was always to provide scientifically accurate information, but initially many archaeologists criticized ARM for not contributing sufficiently to archaeological explanation. Yet the data provided by ARM have added substantially to the overall information base, from which it has been possible to verify hypotheses and strengthen theory, especially explanations of cultural movements and habitation choices. Saskatchewan ARM has been unusually successful in stimulating archaeological explanations: assessments of the potential heritage impacts of proposed dams in boreal forest and prairie river basins have been especially prominent. The credit for this positive and massive addition to archaeological science is due both to the consulting archaeologists who have done the work, and to the influence of the regulatory agencies which have ensured explanatory requirements in the contractual terms for the projects. Archaeological consilience (unity of knowledge): integration into the broader knowledge framework. Archaeology increasingly tends to borrow freely from any science that may provide a basis for explaining archaeological phenomena. Retaining the useful aspects of other archaeological paradigms, this as yet poorly defined but emerging approach is providing a renewed appreciation of theory. Incorporating recently discovered aspects of the behavioural ecology of resource animals and the concepts of landscape ecology, the new approach is beginning to contribute significantly to explanations of past land-use sequences and cultural landscapes. Within this framework, Saskatchewan archaeology has been integrating new information into extant theoretical paradigms; a currently developing theory identifies the tendency to cultural continuity in the southwest of the province, whereas in the southeast there was more cultural replacement, probably because of the proximity of forest cultures. Dyck, I. 2000. 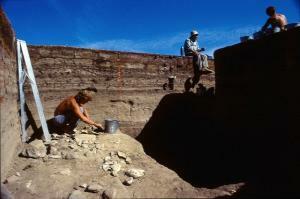 “The Last Quarter-Century in Canadian Plains Archaeology,” Prairie Forum 22 (2): 143-68; Epp, H. (ed.). 1993. Three Hundred Prairie Years. Regina: Canadian Plains Research Center.